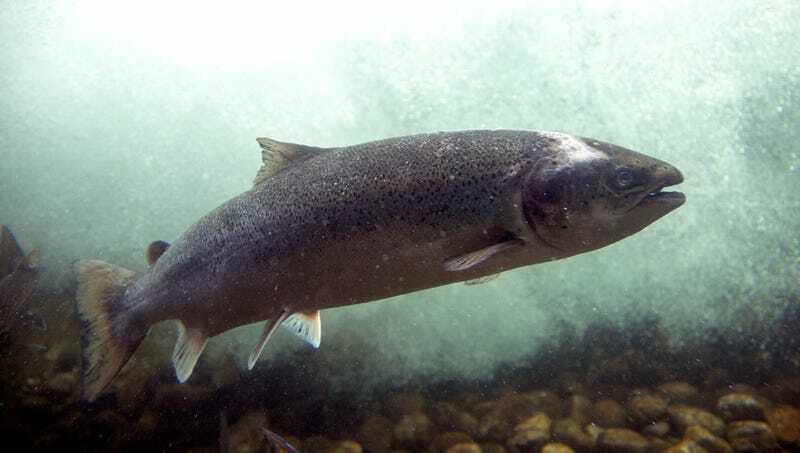 PENOBSCOT RIVER, ME—Recalling numerous thrill-seeking exploits and fearless endeavors, a north Atlantic salmon confirmed Monday that, having always lived an adventurous life, she couldn’t believe she ended up moving back to her birthplace and having a bunch of kids. “I was carefree and always up for going wherever the sea current took me, so never in a million years did I ever think I’d be back in this old stream starting a big family,” said the expecting mother of 2,133, noting that returning to the place where she grew up and settling down was the furthest thing from her mind while she was young and daring, traveling thousands of miles across the sea and risking the dark, seal-infested waters off Greenland in search of a little excitement. “Growing up seeing salmon after salmon give up their independent lives in the ocean to come back and have babies, I vowed to never let that happen to me—but I guess things change. Maybe after my children leave the nest, I’ll take a trip to Newfoundland and get into some trouble like I did in the good ol’ days.” At press time, sources confirmed that the salmon had died less than a week after spawning.